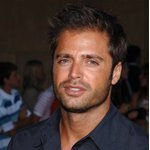 David Charvet, who rose to international fame on the hit shows "Baywatch" and "Melrose Place," is now moving into the feature front, having completed production on starring roles in two films this year. In the sports feature "Green Flash," Charvet plays 'Cameron Day,' a star basketball player with a future in the NBA until he chokes in a key game, with the after effects causing him to settle into an aimless life. A chance encounter takes him into the professional beach volleyball scene in Southern California, but his old demons begin creeping in again, threatening his chances at success. The film marks the directorial debut of Nihipali Jr., who was a member of the U.S. National Volleyball team from 1995-1997 as well as a three-time All-American and captain for the UCLA men's championship-winning volleyball team. The film, shot on location in Southern California, is produced by Cameron Dieterich and Joseph Barmettler, with Bob Smiland executive producing. The theatrical release date is intended to coincide with the Summer 2008 Olympic Games. Earlier this year, Charvet starred in the action/adventure feature film "Prisoners of the Sun," directed by Academy Award-winner Roger Christian ("Star Wars," "Star Wars: Episode I - The Phantom Menace," "The Dollar Bottom"). He plays 'Doug Adler,' an archaeologist hired by an eccentric professor to lead his team on a national expedition to excavate a long lost city beneath an Egyptian pyramid. The expedition takes a turn for the worse when the gods of ancient Egypt are awakened from their five thousand year slumber and seek vengeance against the team. John Rhys-Davies, Joss Ackland and Carmen Chaplin co-star in the film, which was budgeted at $10 million. Charvet launched his acting career on the world's most watched show of its time, "Baywatch," in which he developed a strong international following playing lifeguard 'Matt Brody' for three seasons. He continued to expand his fan base with his role of 'Craig Field' for two seasons on "Melrose Place." He also starred in NBC's highly-rated telefilm "Seduced and Betrayed" and the ABC movies-of-the week "Derby" and "Angel Flight Down." He also starred in the independent feature "Meet Prince Charming," with Drea de Matteo. As a Universal Music recording artist, Charvet spent five years in Europe, where he released three successful pop rock albums, as part of his five album deal with Universal Music Group France. He has sold over 2.5 million albums to date, with three of his singles ("Leap of Faith," "Should I Leave" and "The Tears in My Eyes") charting in the Top 10. Charvet has traveled extensively throughout Europe and Asia, performing for packed arenas, writing music and experiencing new cultures. He has collaborated with top songwriters such as Ty Lacy (who wrote Leanne Rimes' single "I Need You"), and he has also worked with Robbie Williams' producer Steve Power. Charvet has recorded a duet with Bryan Adams, and he also worked on a duet with Seal. Although his music career has taken center stage in recent years, Charvet has always sought new creative challenges. He has now returned to the United States where he is happy to be back to his first love of acting and bringing his new palette of colors to that domain. "Music has helped me to evolve tremendously as an artist and has enriched me personally in so many ways," he offers. "I left America a boy and have come back a man." Charvet has trained with such renowned acting teachers as Roy London and Larry Moss. He currently resides in Malibu, CA with his fiancée Brooke Burke and their infant daughter Heaven Rain.